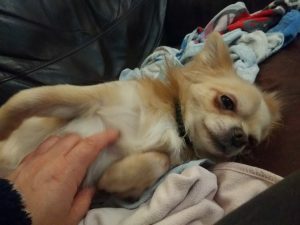 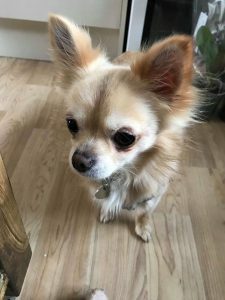 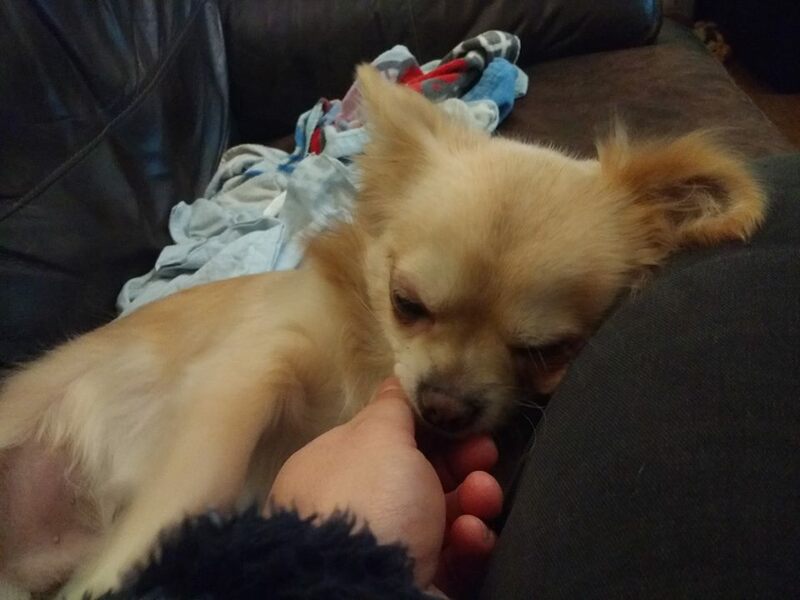 Cluedo is a really lovely 2 year old male Chihuahua. Cluedo is really really friendly with people, and loves nothing more than to snuggle up for a cuddle. Cluedo is fine with other dogs, typical of many Chihuahuas will curl a lip to avoid having to share a cuddle, but also enjoys snuggling up with other dogs of any size. 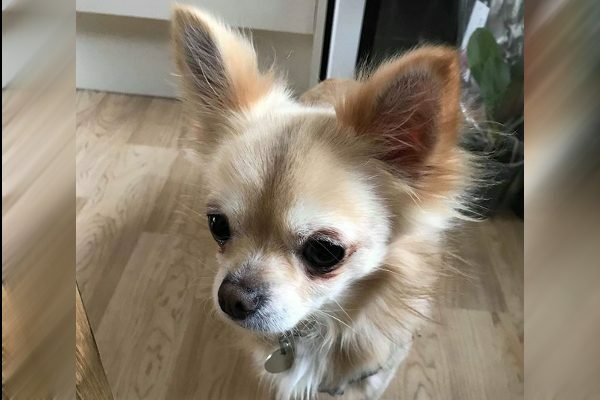 Cluedo is fine to be left for a few hours, and is both crate and house trained. He can live with cats and takes no notice of them.